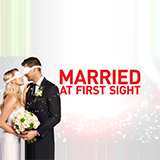 Date Night is a TV show on Australian national television from Channel 9 with an average rating of 3.6 stars by TVCatchUpAustralia.com's visitors. We have 8 episodes of Date Night in our archive. The first episode of Date Night was broadcast in April, 2018. Did you miss an episode of Date Night but don't you wan't that to happen in the future? Please set an alarm and add Date Night to your favourites, so we can remind you by email when there's a new episode available to watch. Completely free: handy! Louisa finally breaks the date drought. Could it be love at first sight? Aussie singles swipe right for love and this time it's double Date Night. Australia's pickiest single Tashanti gets a new date and Ben also has a second chance at love. Aussie singles use a dating app to find love. Tonight burlesque dancer Nikki finds a match and goes on her first date in six years. Aussie singles swipe right in the quest to find true love. Tonight, Belinda Joh joins some of our favourite singles and gets a date. But things don't go as well as she expected. More Aussie singles join the search for love as they laugh, cringe and squirm their way through a new dating app looking for a match. Tonight Lyndal gets a date. More Aussie singles join the search for love as they laugh, cringe and squirm their way through a new dating app looking for a match. Tonight Tashanti gets a date. More Aussie singles join the search for love as they laugh, cringe and squirm their way through a new dating app hoping to find a match. Who will be lucky enough to go on a date? Brand new dating show where Aussie singles and their friends swipe right to find a match. They judge and they're judged as they swipe through profiles on a dating app. If they get lucky, they go on a date.